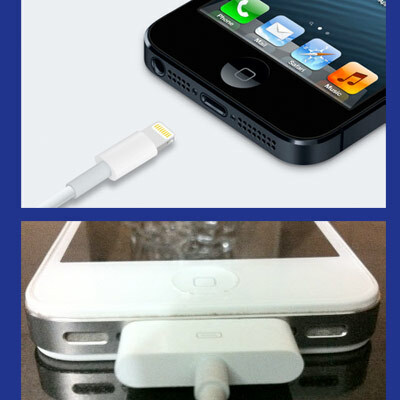 Now that the iPhone 5 requires a different Lightning connector, your iPhone 4/iPhone 4S (or older) accessories will be incompatible with new iPhone 5 ones. When considering an accessory purchase this time around, don’t let Apple force you into getting new accessories every time the iPhone is upgraded. Instead, get wireless accessories for iPhone 4 (and earlier), iPhone 5 and future iPhone cross-compatibility. Why Wireless? Because they rely on the Bluetooth and Wi-Fi features present on your iPhone and many other devices, wireless accessories are often compatible with many devices, without the need to buy a specific accessory for each phone or device, like a speaker with an iPhone 4 or iPhone 5 specific dock. 1. Wireless iPhone speakers. Instead of buying new speakers with an iPhone 5 specific dock connector, choose wireless speakers for iPhone 4 and iPhone 5 cross compatibility. 2. Cloud storage. Cloud storage syncs your computer files to your iPhone, eliminating the need to connect your iPhone directly, thereby avoiding cable incompatibility issues. You can use iCloud or another service. Recommended Product: SugarSync I began using Copy after SugarSync’s sudden price change several months ago. I am pleased with Copy (a free cloud backup solution with an iPhone app) and will write about it in the future. 3. Wireless FM transmitter. Now that your iPhone 4 car connection will no longer be compatible with your iPhone 5, it’s time to consider getting a Bluetooth wireless FM transmitter. Remember, by going wireless, we avoid future incompatibilities between iPhones as long as Bluetooth remains a standard. Wireless accessories and apps can go a long way to avoiding a headache in the future as technology changes.